Weather busted our long-standing plan to climb Rainier this weekend. Coastal mountains do that to long-standing plans. Short-term developments dropped the crew down to me and Sam. Storms rolled through the region most of the week, but tapered on Wednesday/Thursday, leaving us with the possibility of good turns and decent stability on Saturday. 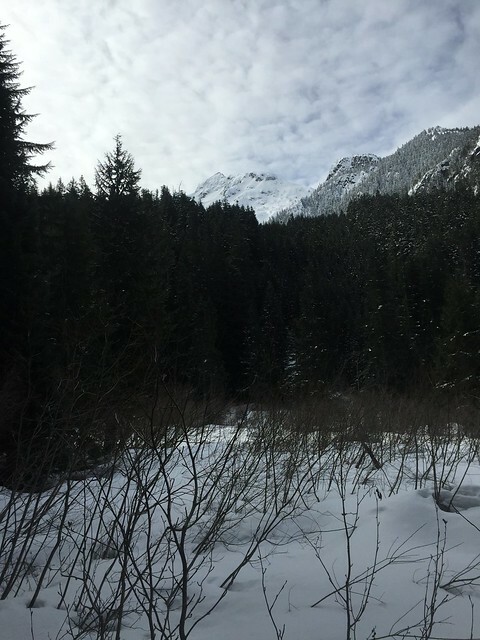 Our route search quickly took us to the North Cascades. We considered going after something high and alpine, like Colonial Peak, but ruled that out. 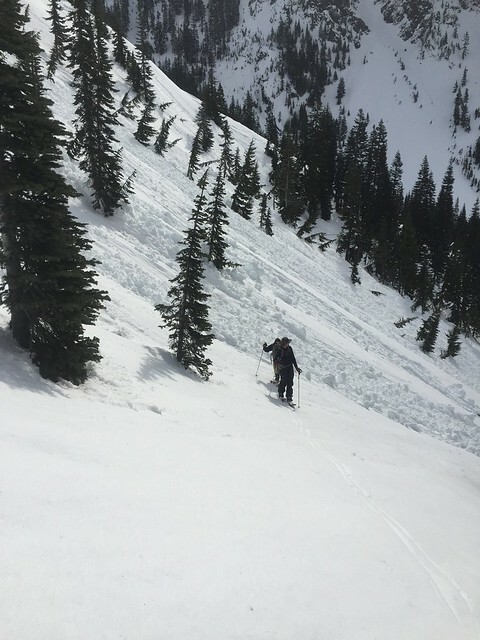 A recent T-A-Y post points to a difficult approach and we weren’t keen on the exposed traverse below Pyramid Peak in current conditions. 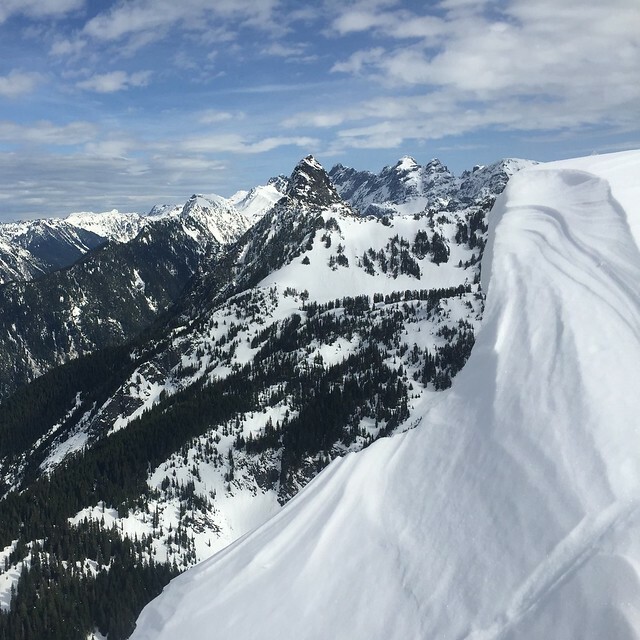 Digging deeper into the grab bag of Backcountry Ski & Snowboard Routes: Washington (BSSRW) yielded Ruby Mountain. After a bit more research, we committed to Ruby. Elevation (7,408 ft) and aspect (north) would stack the deck for preserved powder from the recent storms. As we drove through Concrete on Saturday morning, Sam asked if I’d seen the discussion surrounding Amar Andalkar’s turns post on Ruby from 2012. I hadn’t, so Sam filled me in. 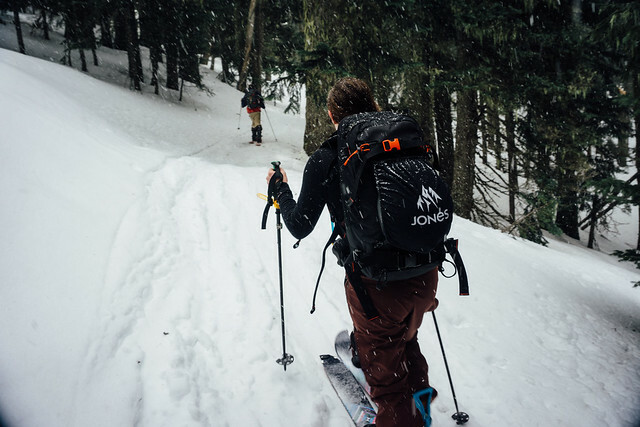 Amar’s report sparked a philosophical debate about why and how to document backcountry travel, particularly as it relates to “secret stashes”. BSSRW, with its description of Ruby, was published 2 years later and has since inspired much of the content on this site. What do you share? How do you share it? Skiing Ruby provided a great opportunity to reflect. As a relative newcomer to the sport, I’m mostly a consumer. I haven’t pioneered new routes or lines. That said, every time I go out, I see something no one has seen before. Winter terrain changes constantly and those changes dictate where you go and how you get there safely. That safety piece is about collecting data at home and in the field, then applying it to make decisions. I consume data provided by professionals and individuals. Whenever I go out, I produce data with every sense at my disposal. I benefit through that consumption, it consistently brings great joy. Do I have a duty to share what I produce? As an Open Source Geographer, I’ve spent a lot of time thinking about what it means to be a beginner in a community of “perceived experts”. I see parallels between the ethos of backcountry skiing and open geo. And both communities are changing. Over the last decade, forces of industry have driven more and more people to open source tools. If those tools want to be useful to more than just the “experts”, they have to evolve or risk irrelevance. 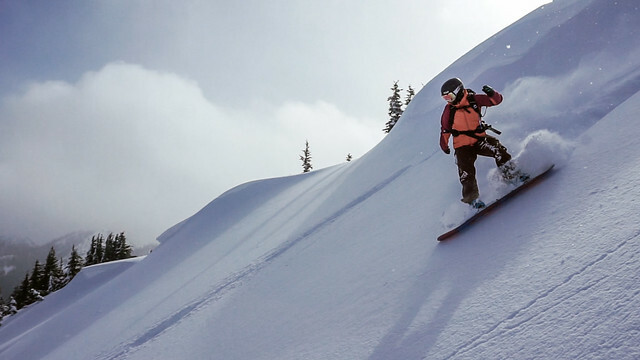 The forces are different, but similar shifts are taking place in backcountry skiing. I don’t know what it meant to be a beginner ten years ago, but I do know what it means to be a beginner now. Most of the people I ride with are also early in their backcountry journey. Did beginners primarily ride with other beginners 10 years ago? Tell me, I don’t know. As beginners, we rely on the same sources of information. Sometimes that information isn’t great. You don’t have the same context that experts do and context is safety. I view these reports as a sharing of context, primarily for beginners or others seeking to progress… “I thought about this, I did that and it cost me, I did this and it went well”. In the mountains, context is safety. How do you accumulate context safely? Maybe it’s a new paradigm, maybe it’s not. Standing on top of Ruby Mountain, with Cascades in every direction, I knew it wasn’t an issue of terrain. Skill, time and climate change are the limiting factors here. Ruby is easily accessible and in the guide book, secret stash no longer. That said, not an easy tour. Furthermore, what percentage of the mountain was actually skied yesterday? I envy the folks who came before and I thank them for opening an unknown world to me. Rest assured, it’s still discover to me, even if it’s well documented, and there’s a skin track, and a few other groups. Perhaps someday, the context I gained there will propel me into the unknown. No snow in sight, we’ve surely got some booting to do. The trail ends near a waterfall. Climb up slope along the east side of the creek. 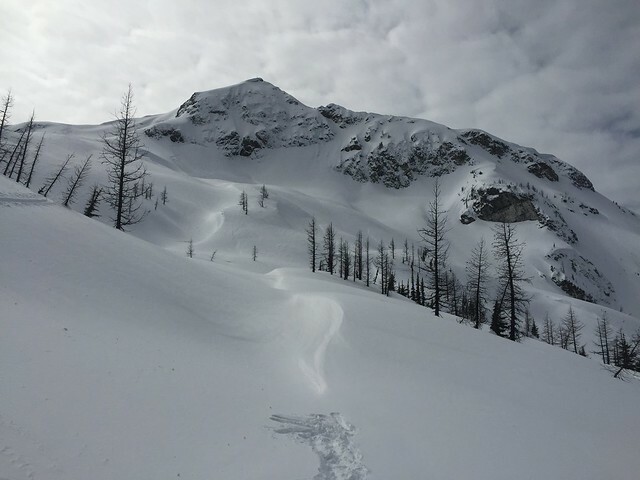 You don’t have to venture too far to avoid the steeps. We put skis on here. You can see the top of Ruby over the trees. We followed the skin track south east out of the meadow. This is the less direct, but less densely shrubbed option described in BSSRW. 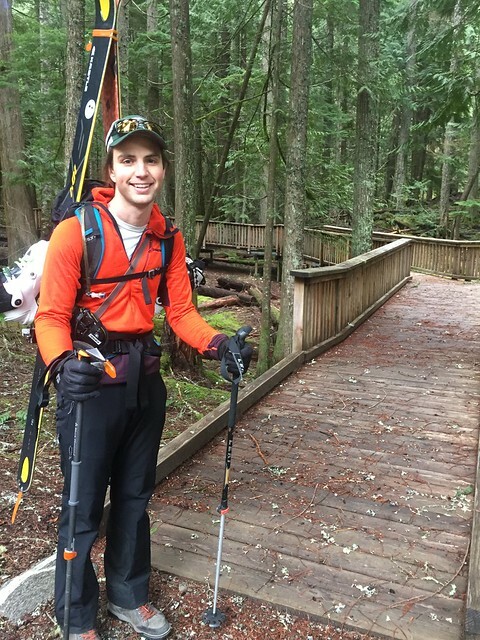 We’ve been following the skin track, which trends climbers left up through the forested valley. 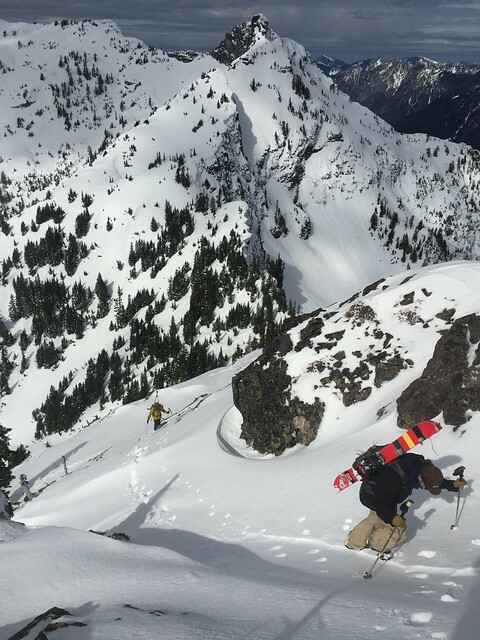 Snow quality improves as we climb. Ice forms on the bottom of our skins. We continue to trend up toward the ridge south east of the summit pyramid. We soak in the views, survey the area and prep for the ride down. 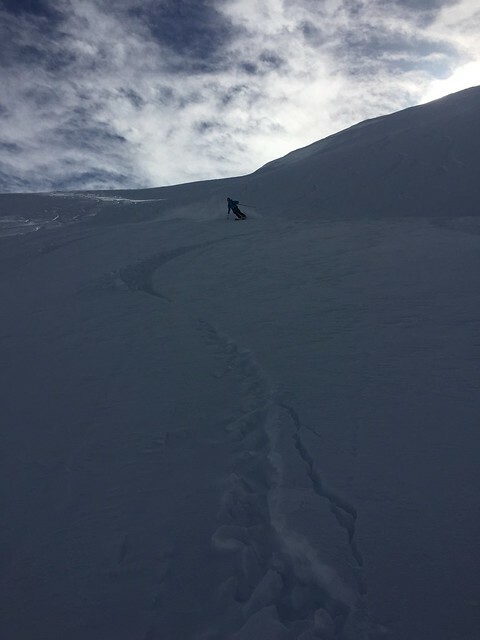 I triggered a small wind slab with a 5 inch crown on our second run down after I went over a convexity at the top of the slide. I skied out of it without incident. 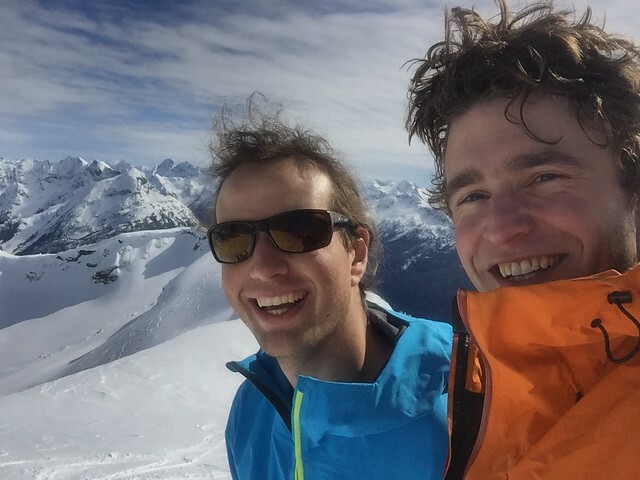 Summary: had a great day with Sam, good to get some vert and explore a new area. Very inspiring part of the cascades, much more to do up there. 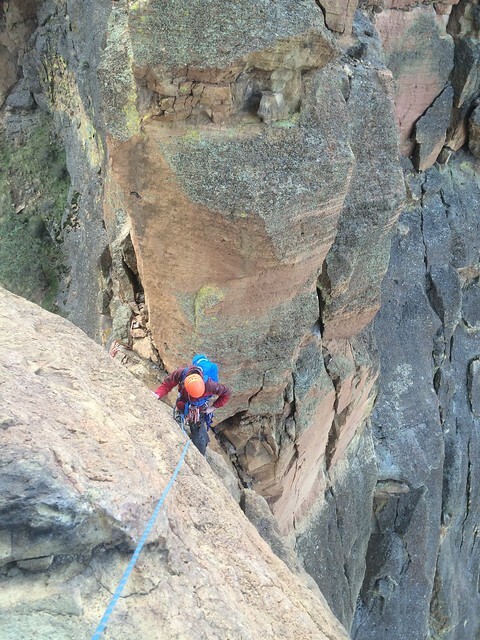 Last week I was able to get out of the rain for a two day trip to Smith Rock. The weather was perfect – low 50s and sunny during the day – also known as sending temps, bro. After a long winter of climbing plastic in the gym, our first day involved Keith and I getting reacquainted with climbing real rock. We jumped on a few moderate routes, mostly 5.8s and 5.9s. We were even able to snag an ascent of five gallon buckets without waiting in line! We got up early the next day to try and beat the crowds up the Pioneer Route on the Monkey Face. As we approached we saw a pair of climbers cruising up the bolt ladder – but nobody else. Little did we know, those two were guides that were setting up a Tyrolean into the Monkey’s mouth for 27 clients. A busy day on the Monkey Face. You can barely see the tyrolean in the upper left. The guidebook gives a good description of the route but it involves an easy (5.5) trad pitch up to a ledge with multiple bolted anchors. This puts you directly below a line of about 20 bolts that Keith aided up and I got my first experience jumaring behind him. 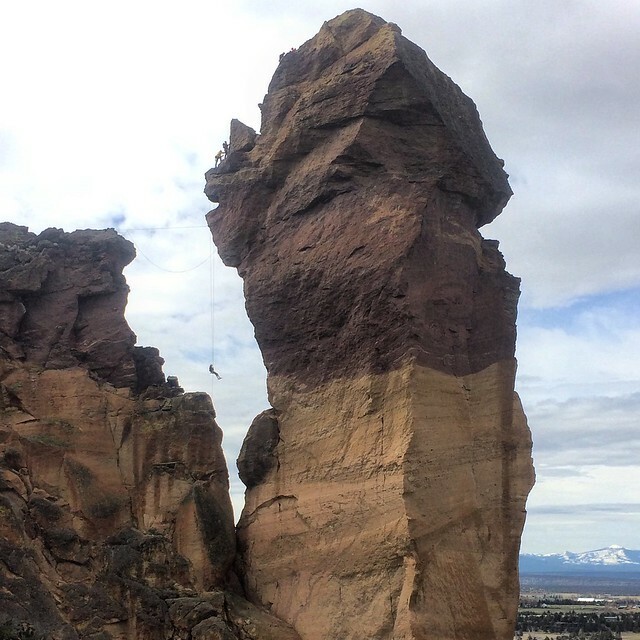 Once into the mouth, we were able to climb the top pitch in between clients coming through. This pitch is definitely the money pitch, with steep, juggy, and crazy exposed 5.7 climbing. 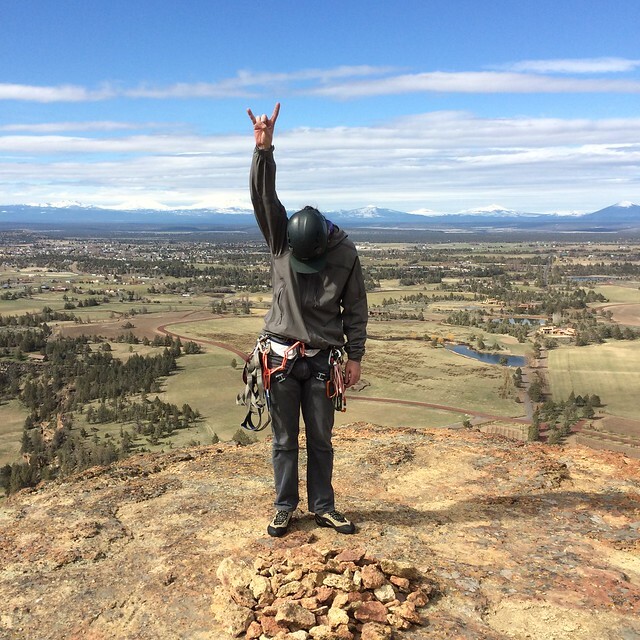 After taking in the views of the central Oregon volcanoes we used the guided parties’ rap line for the free hanging rappel. 2.5 hours after we started we got back to the packs and enjoyed a sandwich. We climbed a couple of cool-down sport pitches on the way back to the car and went back to the rain in Portland. Keith following the first pitch of the Pioneer Route. For a visual tour, jump to the ANIMATED MAP. David and I had big ambitions for the weekend. 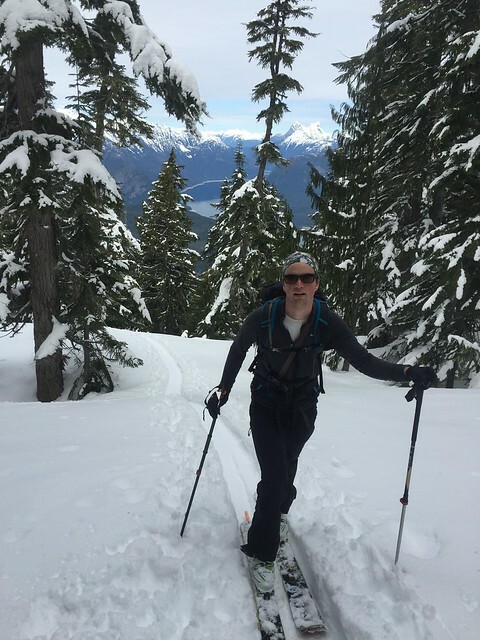 We’d hoped to ski the North Face of Mount Shuksan. That line stares you in the face from the Baker ski area. Unfortunately, injury and questionable snow stability convinced us this wasn’t the time for an attempt. So, keeping with form, we turned our eye toward Red Mountain, clearly visible from Snoqualmie Pass, and slightly less committing. The result was a great, early-spring day in the mountains. David, Bish and I left the car at 8am. We toured up Commonwealth Basin in firm conditions. Navigation wasn’t much of an issue. The deep snow pack provided ample opportunity to cross zigzagging creeks. A ramp extends from the SW of the peak. 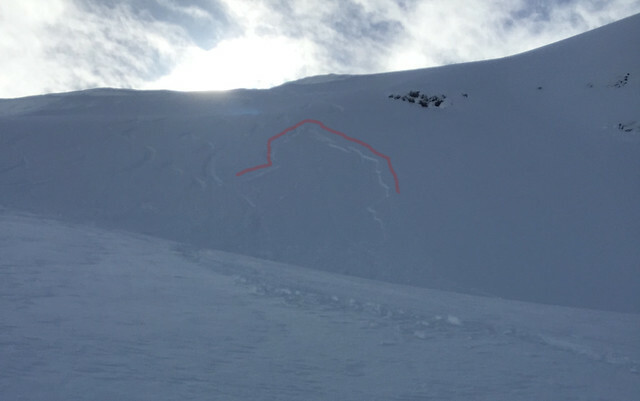 We followed that to above treeline, then cut a skin track up and across the SW face. The slope is sustained and gets steep enough at the top that we switched to boots. Great view up on the ridge. We stuck to exposed rocks during the transition. At the time of touring, big cornices hung off the north face. 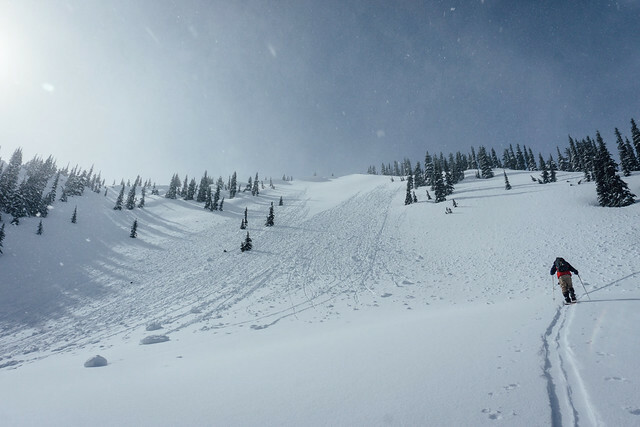 By the time we dropped, sun breaks had done their work and the first 1,000 feet of turns were packed powder. Back in the valley, the snow was wet and deep. Best cement that side of I-90.